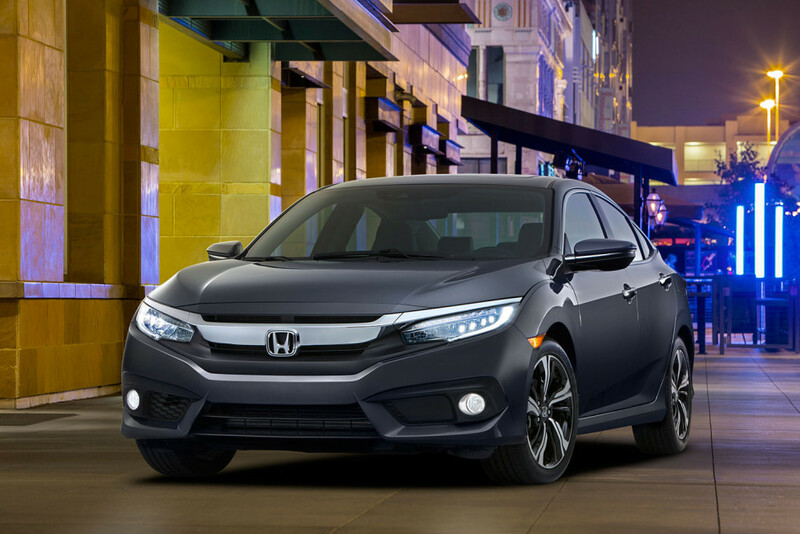 Henley Honda | 2016 Civic | The 2016 Civic Named AutoGuide's 2016 Car of the Year! The 2016 Civic Named AutoGuide's 2016 Car of the Year! Henley Honda is proud to announce that the redesigned 2016 Honda Civic has just been named AutoGuide’s 2016 Car of the Year! This is a huge accomplishment, as the competition was stacked and there were many deserving nominees. However, with its new turbocharged engine and sleek styling and design overhaul, the 2016 Honda Civic blew away the judges (and the competition). Features such as taillights with integrated LED light bars and Bluetooth connectivity helped to catapult the Civic ahead of everything else. Also, with all the new safety features including forward collision warning, lane departure warning, collision mitigation braking systems and more, it’s easy to see why the 2016 Honda Civic was ultimately chosen as the 2016 Car of the Year. If you haven’t had a chance to take one of these amazing new Civics for a spin yet, come and visit us 308 Lake Street in St. Catharines. As soon as you get into the car, you’ll understand why everyone is buzzing about the new Civic. Our fantastic service team and large selection of new and pre-owned Honda models (including the 2016 Car of the Year) are waiting for you to take them for a dynamic test drive! We also offer some great purchase and lease incentives to make your dream Honda vehicle become a reality. Give us a call at 905-934-3379 or stop by the dealership to find your perfect Honda. We’ll see you soon!